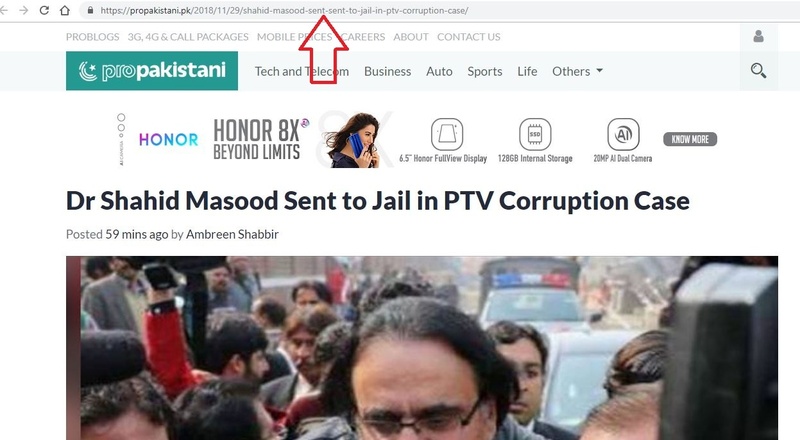 A district and sessions’ court has sent the renowned TV anchor and former chairperson Pakistan Television (PTV), Dr. Shahid Masood, on a 14-day judicial remand in lieu of the alleged PTV corruption case. Dr. Shahid was produced before the court today following the expiry of his physical remand in the said case. The court decided to send him to Adiala Jail while rejecting the plea by Federal Investigation Agency (FIA) to extend the physical remand of the TV anchor for investigation. The court had issued Dr. Shahid’s arrest warrants, as he was facing charges of irregularities while he was acting as the managing director of the state-owned TV channel. The same court had earlier rejected the petition of Dr. Shahid seeking pre-arrest bail. “Sufficient incriminating evidence has come on record to affect the arrest of the accused. It is, therefore, requested that non-bailable warrants of arrest of Shahid Masood may please by issued for the culmination of an instant investigation,” stated the request filed by the FIA official. It is pertinent to mention here that a court in Islamabad had also issued arrest warrants of the anchor on Nov. 28 in a case of snatching journalist’s cell phone. The case was filed by the affectee who stated in his plea that he was designated for the coverage at the Islamabad High Court when Dr. Shahid, while saying harsh words to him, snatched his cell phone. The incident had taken place a few weeks ago. badmaashiya nahi bachay gi…Dr Sab se aaghaz hu gaya aur lotu hui dolat wapus lao Dr Sab!!!!! !